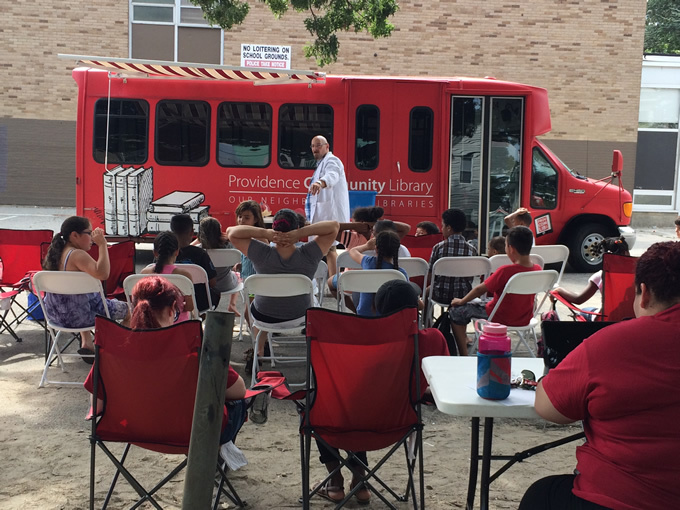 Thanks to a grant from the United Way, PCL’s Mobile Library was able to bring its Summer Reading Program to hundreds of new participating schoolchildren through regular weekly visits to 10 elementary school schoolyard and five Providence recreation centers. 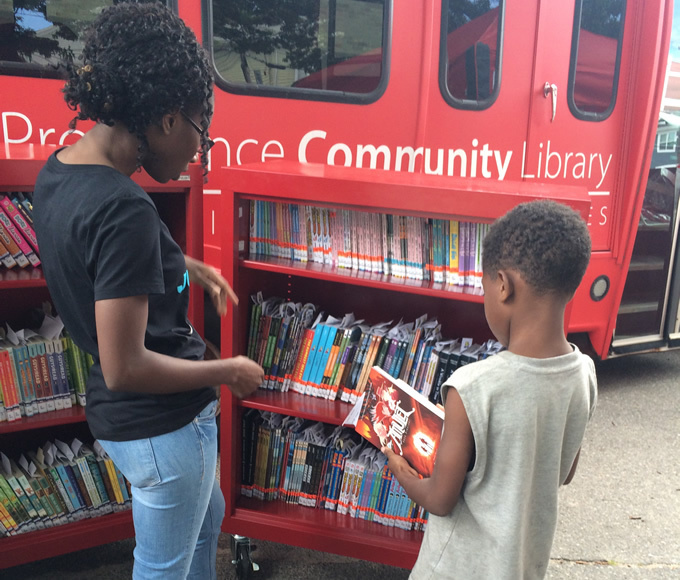 You can help stock PCL's Mobile Library with brand NEW Materials! Check out our Amazon Wishlist. 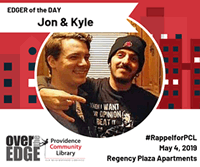 For delivery address, please choose "Rochambeau Community Library's Gift Registry Address"
Outreach to schools that are more than walking distance to a PCL Library, including issuing library cards as part of the ConnectED Library Challenge to issue a library card to every public school student in the country (or, in our case, Providence)! 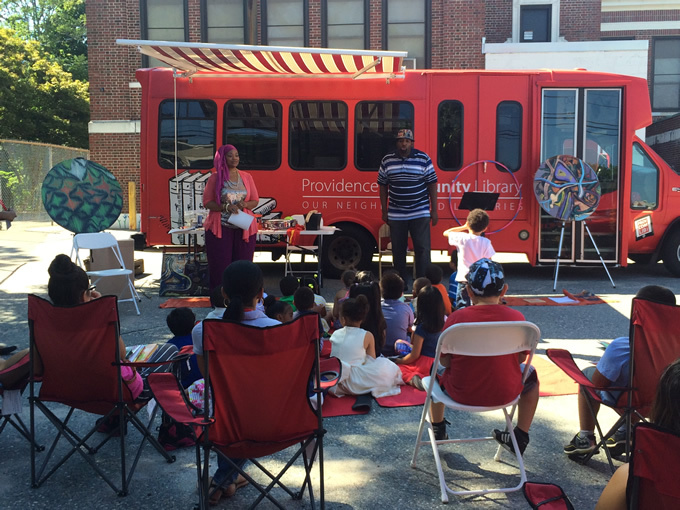 Bringing the library to new audiences at community events, fairs and festivals by allowing patrons to sign up for library cards, borrow books, go online, and/or participate in a program. 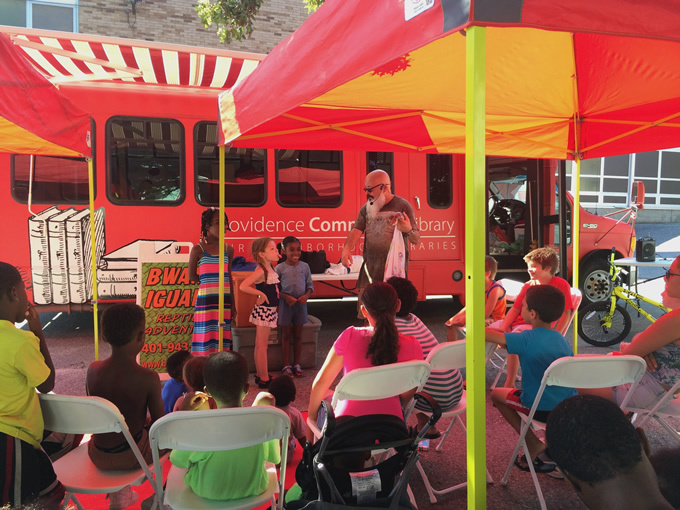 Outreach to Providence Recreation Centers and other after school programs to provide programming, technology, and books for participating students. 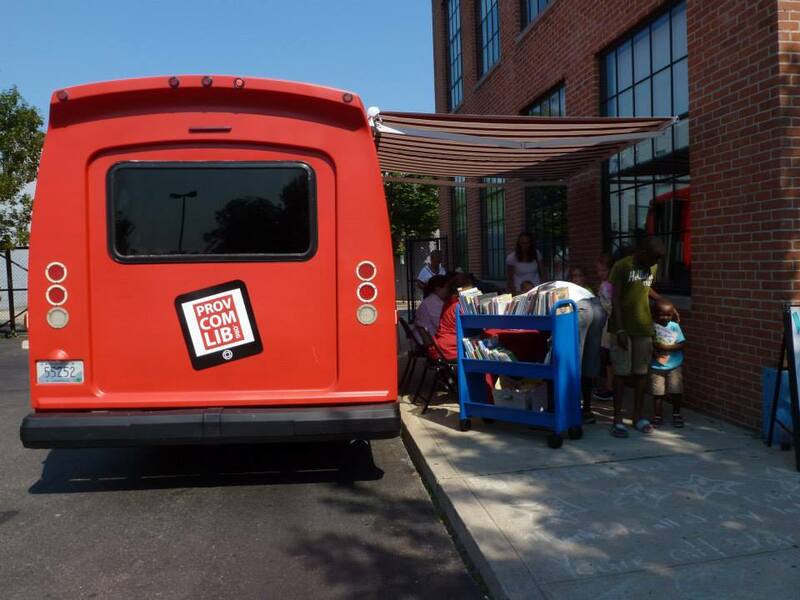 Outreach to preschools or family childcares to provide books and early literacy programming. 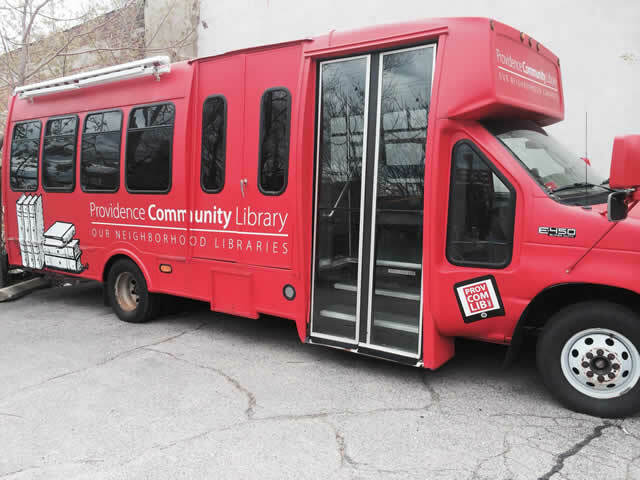 Outreach to assisted-living or other community centers that serve senior citizens who have limited ability to travel to a library.